The LA15C features a 15 watt RMS power stage with custom 5” woofers to give a broad sound scope and a great output level. The pre-selected chorus setting adds rich tone on top of the original sound. 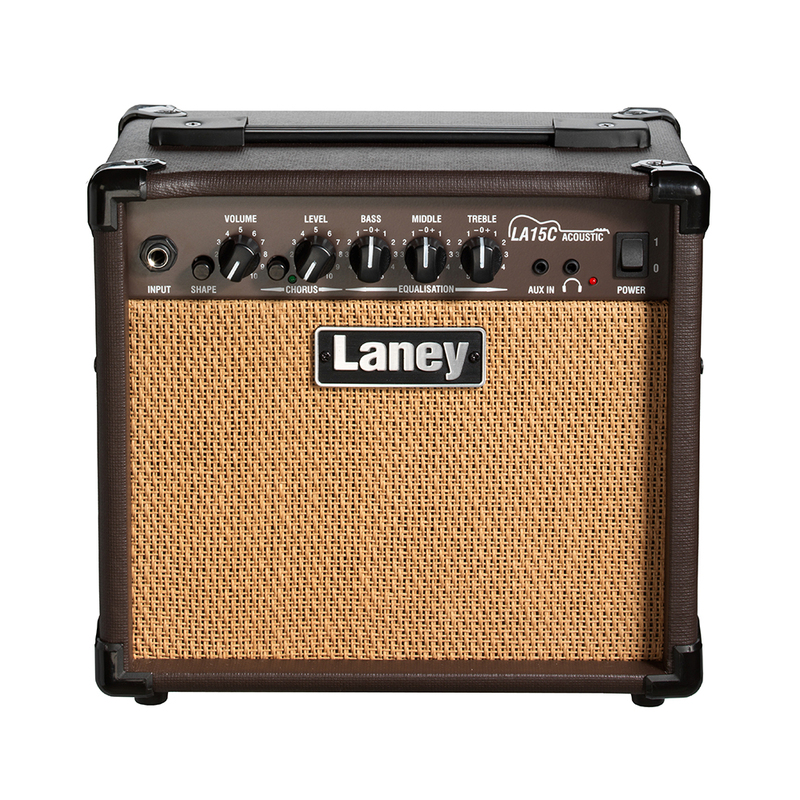 The LA15C has 3 band EQ for shaping your sound. Jam along to your favourite tunes with the mini-jack input to connect your mp3 or CD player and use the headphone socket for using the LA15C quietly.